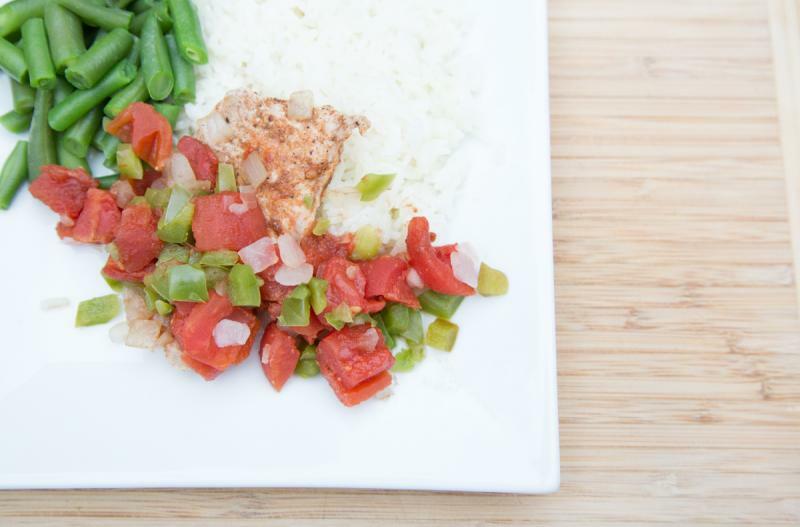 The Creole flavors are delightful as they cook into these pork chops. Preheat the oven to 400 F. Place the pork chops into baking dish and sprinkle with salt and pepper. In a small mixing bowl, stir together the diced tomatoes, frozen mirepoix veggies, Worcestershire sauce, and Creole seasoning mix. Pour tomato-veggie mixture on top of the pork chops. Bake in the preheated oven for 30 to 40 minutes, or until pork chops are cooked through. Cooking time may vary depending on thickness of the chops. 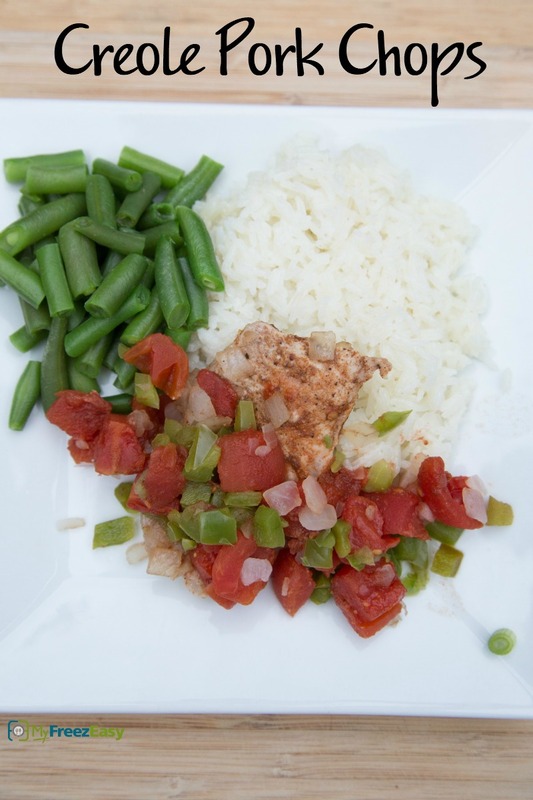 Serve Creole Pork Chops with salad and rice. Open 2 cans of diced tomatoes. Put freezer bag in the freezer and freeze up to 6 months in fridge freezer or 12 months in a deep freezer. Thaw in the fridge overnight, or a warm shallow dish of water for about 20 minutes, before transferring the pork chops and veggies to baking dish and baking as directed. Look in the freezer section for bag of mirepoix veggies - it’s the trio of chopped celery, chopped onion and chopped green bell peppers. Serve with side salad and rice.